We recently had a customer in the shop who wanted to get his Powell appraised, and the flute was quite old. He was interested in selling it and wanted to get an idea of its approximate value (for resale). Unfortunately, we are only able to give appraisals for insurance purposes. This type of appraisal is based on a flute's specs and gives the flute's value so that the insurance company would know how much it would cost to replace the flute with one that is brand new -- in the event that the flute being insured is lost, stolen, or damaged to the point of needing to be replaced. 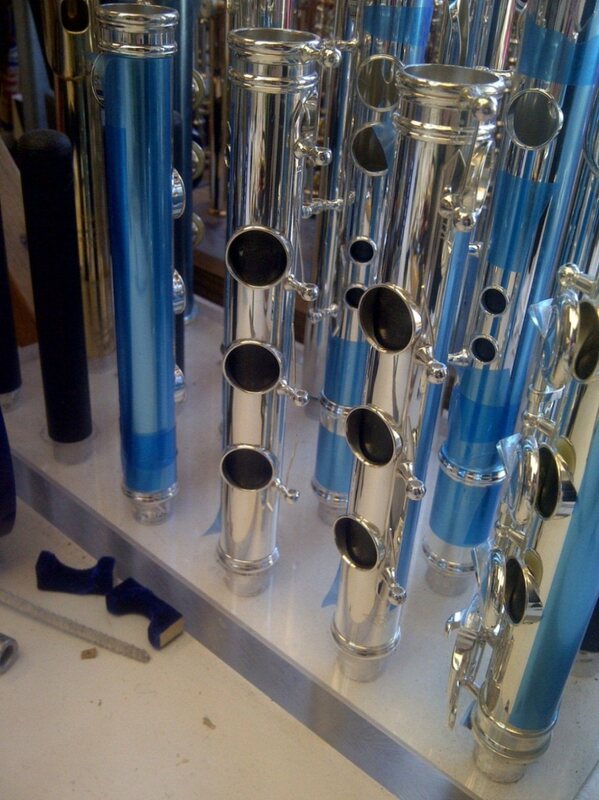 Questions: If a flute is in need of an overhaul, should the person do it before selling the flute? If they go ahead with an overhaul, how will it help? If they don't, what is the downside? Rachel's Answers: It can go both ways. IF the flute is playable in its current condition, I usually recommend NOT doing an overhaul. This way the buyer can decide what type of pads, and who does the overhaul. The downside of that is you will have to drop the price to factor in the price of an overhaul for the buyer. Also, they might not get the full sound of the instrument if it is in only mediocre playing condition, and this could make it harder to sell. So, there you have it -- a bit of an "chicken and egg" situation in terms of the overhaul question, but it certainly does make sense to wait on the overhaul and let the new owner have has his/her choices for materials and repair techs.